During cataract surgery your eye’s natural lens is removed. This is necessary because the protein build-up on the lens cannot be separated from the lens. After the lens is removed, our doctors will insert a new lens to restore clear vision. The good news is that the replacement lens options are amazing. Intraocular lenses (IOLs) are artificial lenses that provide clarity to your vision. In the past, cataract patients only had one option: monofocal lenses that provided clear vision for one distance only. Today there are a variety of Lifestyle Lenses that have advanced features for clear vision at multiple distances. Lifestyle lenses can reduce or completely eliminate your need for reading glasses or bifocals after cataract surgery in San Francisco. Many patients come to Mosaddegh Eye Institute with not only cataracts but also astigmatism (with or without nearsightedness and farsightedness). Having worn glasses or contact lenses their entire lives, they are often surprised to learn that having cataract surgery can also correct their astigmatism as well. Toric Intraocular Lenses (IOLs) are Lifestyle Lenses that replace the cloudy lens that is removed during cataract surgery. Toric IOLs have different focusing powers in different areas of the lens to allow for clear vision at all distances. The lens is permanently placed in the exact position in the eye to adjust for the unique shape of your cornea. 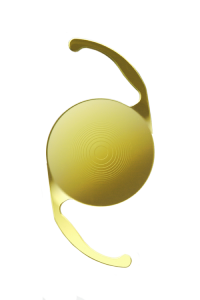 Toric Lifestyle lenses can reduce or completely eliminate your need for reading glasses or bifocals after cataract surgery in San Francisco. During a consultation with our doctors, you can learn more about the cost of Toric IOLs, what type of vision could be achieved and if you might be a good candidate for this type of Lifestyle Lens. Contact us today to schedule your appointment. For some patients, the need for cataract surgery can actually be a stroke of good luck because it can mean a reduced dependence on eyeglasses after surgery. Of course, not all cataract patients enjoy clear vision at all distances, but those who choose multifocal Intraocular Lenses (IOLs) may end up with better vision than they’ve had in years. At Mosaddegh Eye Institute we offer these types of Lifestyle Lenses to replace the cloudy lens that is removed during cataract surgery. Rather than just providing clear distance vision like monofocal lenses do, multifocal IOLs also correct presbyopia (the need for reading glasses to see things up close). Permanently implanted into the eye, these prescription lenses focus light from different distances simultaneously to allow for clear vision at all distances. As a result, multifocal Lifestyle lenses can reduce or completely eliminate your need for reading glasses or bifocals after cataract surgery in San Francisco. During a consultation with our doctors, you can discuss your vision goals, find out if a multifocal IOL might help you achieve those goals and determine the cost of multifocal IOLs. After an evaluation of your lifestyle and goals, we can determine if you might be a good candidate for this type of Lifestyle Lens. Contact us today to schedule your appointment.